Lovely black and white floral skater dress. Lovely black and pink floral skater dress. 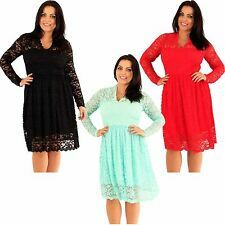 Lady voluptuous dress size 16. Condition is Used. Dispatched with Royal Mail 2nd Class. Great dress, very comfortable to wear. Fit n flare style skater dress only worn once. Lady voluptuous dress size 16. Condition is Used. Dispatched with Royal Mail 2nd Class. Great dress, very comfortable to wear. Fit n flare style skater dress only worn once. Belt included. FABULOUS NEW NO TAGS SIZE 16 LINDY BOP RETRO SWING DRESS,PINK MIAMI PRINT. 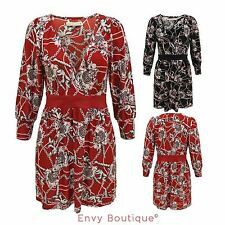 IF YOU HAVEN'T SEEN LINDY BOP DRESSES BEFORE,YOUR IN FOR A TREAT.I HAVE 1 & THEY ARE SO UNIQUE WITH THEIR PRINT & COLOURS.Google LINDY BOP & you won't find one under £35. See photo 4 for the crossover vneck. AX Paris Dress Size 8. Laced Back - Stunning Green.